I happened to stumble upon the piece you wrote in July, 2008 about the Francis S. Filbey Building on Columbia Pike. Even though it is of no importance, I felt the need to correct some of the factual errors it contained and add a personal note. By the way since that was two and a half years ago I have no idea what has happened to the building since then. I am the former general counsel of the American Postal Workers Union having become one of the union's lawyers when it was formed. Contrary to what you stated, APWU was not formed by mergers over the 60's and 70's. Rather, as you did say, there was a postal strike in 1969 which was settled early in 1970 and that settlement was embodied in the Postal Reorganization Act which was passed by Congress. That led to the merger of five postal unons at one time in early 1970. The largest was the United Federation of Postal Clerks. That union, and several of the others had existing health plans. 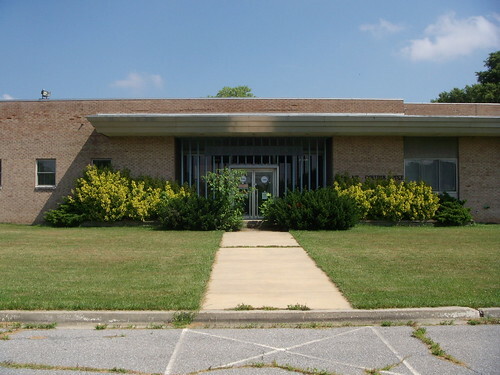 The UFPC plan was continued as the APWU plan and established its offices at the Columbia Pike location. That was done long before the 1981 construction date you mentioned which I know because I went there on fund business all through the 70's and had severed my connection with APWU in 1980. As you stated Francis S. Filbey became the first President of APWU when the merger took place and remained in that poistion until his death in 1977. He was one of the finest men I ever knew. He was intelligent, gentle. thoughtful and perceptive. These traits were not so easy to find in other labor leaders I knew over the years. Thanks, Daniel. And for You, The Reader: as always, if you've ever got something to say about East County, say it here. Leave a comment or shoot an e-mail to justupthepike at gmail dot com.